This is the first dimmer I have ever built. 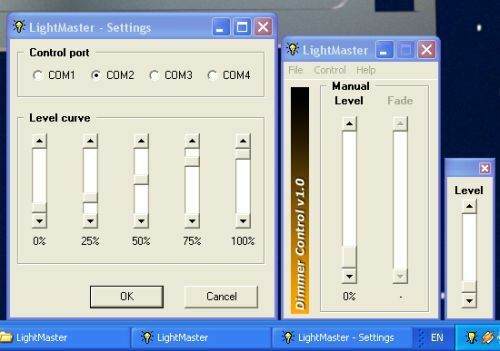 The dimmer is based on a kit fro Velleman (DC-controlled dimmer K8003). The kit is based on the (now obsolete) TEA1007. 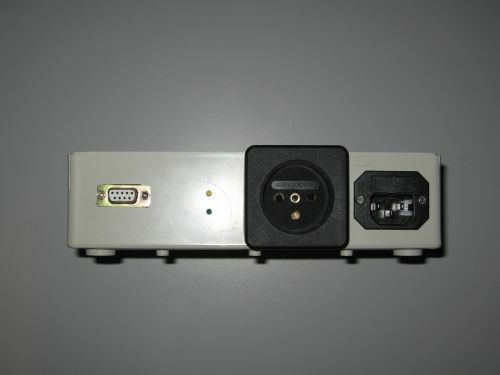 It ensures mains isolation, safety and interfacing simplicity. This dimmer accepts a analog voltage (0-5V) and can handle both resistive and inductive loads. 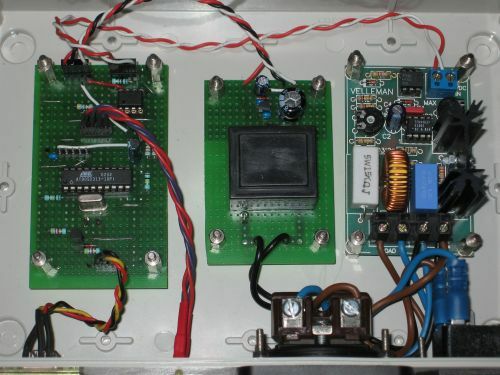 A microcontroller (Atmel AT90S2313) is used to accept and decode dimmer commands from a PC. 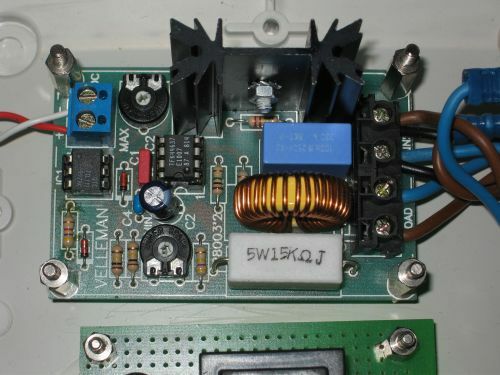 It generates a (non mains synchronized) PWM signal which is low-pass filtered and amplified. 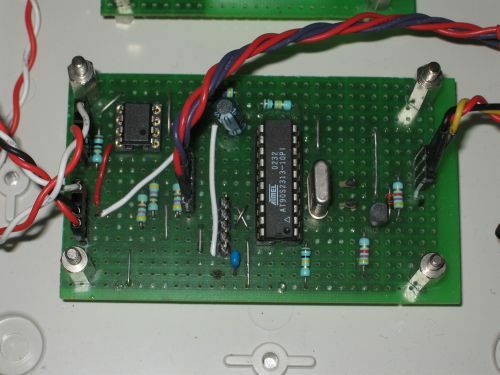 In the first version, the voltage over the optocoupler of the dimmer was controlled. To improve the 'linearity' of the dimmer, the opamp now sets the current through the optocoupler instead of the voltage over the optocoupler. The command structure is very simple. 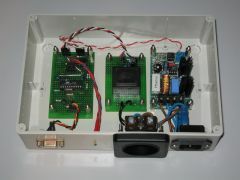 No schematic or PCB is available at this time.